Something for the weekend. Labor Day weekend seems a fitting time to recall again the United States Merchant Marine. The civilian fleet that carries imports and exports to and from the US, during war time it becomes an auxillary of the Navy to ship troops and war supplies. Officers of the Merchant Marine are trained at the Merchant Marine Academy, founded in 1943, at King’s Point, New York. Technically civilians, one out of 26 merchant mariners died in action during World War II, giving them a higher fatality rate than any of the armed services. Members of the Merchant Marine were often jeered as slackers and draft dodgers by civilians when they were back on shore who had no comprehension of the vital role they played, or how hazardous their jobs were. Incredibly, these gallant men were denied veteran status and any veteran benefits because they were civilians. This injustice was not corrected until 1988 when President Reagan signed the Merchant Marine Fairness Act. Some 9,521 United States Merchant Mariners were killed during World War II, performing their duty of keeping the sea lanes functioning in war, as in peace. Resolved, That in the future, as in the past, we will adhere with unswerving fidelity to the Union under the Constitution as the only solid foundation of our strength, security, and happiness as a people, and as a framework of government equally conducive to the welfare and prosperity of all the States, both Northern and Southern. Resolved, That this convention does explicitly declare, as the sense of the American people, that after four years of failure to restore the Union by the experiment of war, during which, under the pretense of a military necessity of war-power higher than the Constitution, the Constitution itself has been disregarded in every part, and public liberty and private right alike trodden down, and the material prosperity of the country essentially impaired, justice, humanity, liberty, and the public welfare demand that immediate efforts be made for a cessation of hostilities, with a view of an ultimate convention of the States, or other peaceable means, to the end that, at the earliest practicable moment, peace may be restored on the basis of the Federal Union of the States. Resolved, That the direct interference of the military authorities of the United States in the recent elections held in Kentucky, Maryland, Missouri, and Delaware was a shameful violation of the Constitution, and a repetition of such acts in the approaching election will be held as revolutionary, and resisted with all the means and power under our control. Resolved, That the aim and object of the Democratic party is to preserve the Federal Union and the rights of the States unimpaired, and they hereby declare that they consider that the administrative usurpation of extraordinary and dangerous powers not granted by the Constitution; the subversion of the civil by military law in States not in insurrection; the arbitrary military arrest, imprisonment, trial, and sentence of American citizens in States where civil law exists in full force; the suppression of freedom of speech and of the press; the denial of the right of asylum; the open and avowed disregard of State rights; the employment of unusual test-oaths; and the interference with and denial of the right of the people to bear arms in their defense is calculated to prevent a restoration of the Union and the perpetuation of a Government deriving its just powers from the consent of the governed. Resolved, That the shameful disregard of the Administration to its duty in respect to our fellow-citizens who now are and long have been prisoners of war and in a suffering condition, deserves the severest reprobation on the score alike of public policy and common humanity. All lion, none of the fox. But he could lead forlorn hopes with the ghost of Ney. His big boned Texans follow him into the mist. 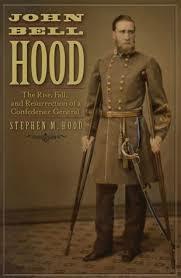 Few Civil War generals get as bad a historical trouncing as John Bell Hood. A talented regimental, division and corps commander, his tenure as commander of the Army of Tennessee is regarded as a disaster, with Hood being depicted as a reckless head on fighter who threw away any chance of victory by losing Atlanta and then leading his army to near annihilation during the Franklin-Nashville campaign. I have largely accepted that historical verdict, but a new book, John Bell Hood, The Rise, Fall and Resurrection of a Confederate General, gives me pause. The Framework’s decision to all but omit George Washington extends to his command of the Continental Army. Most state and local curriculum guides require teachers to discuss the significance of Valley Forge and the battles of Saratoga and Yorktown. Instead, the College Board Framework completely ignores all Revolutionary War battles and commanders. Veterans and their families will by dismayed to discover that this is not an oversight. In fact, the College Board ignores military history from the Revolutionary War to the present day. Students will thus not learn about the valor and sacrifices of the Army of Northern Virginia, the Army of the Potomac, the Rough Riders, the doughboys, the GI’s, and the servicemen and women who fought in Vietnam, Iraq, and Afghanistan. The City of Lights liberation by the Allies was completed seventy years ago. It started, fittingly enough, with uprisings of Free French resistance forces throughout the city, launching attacks on the German garrison. Some 800 Free French fighters would die in these attacks. The Free French quickly held most of the city, while lacking the firepower to attack German strongpoints. The entry into Paris of the 2nd Free French armored division on August 24, along with the 4th US infantry division, caused the capitulation of the German garrison on August 25, and Paris went mad with joy. Why do you wish us to hide the emotion which seizes us all, men and women, who are here, at home, in Paris that stood up to liberate itself and that succeeded in doing this with its own hands? No! We will not hide this deep and sacred emotion. These are minutes which go beyond each of our poor lives. Paris! Paris outraged! Paris broken! Paris martyred! But Paris liberated! Liberated by itself, liberated by its people with the help of the French armies, with the support and the help of all France, of the France that fights, of the only France, of the real France, of the eternal France! Well! Since the enemy which held Paris has capitulated into our hands, France returns to Paris, to her home. She returns bloody, but quite resolute. She returns there enlightened by the immense lesson, but more certain than ever of her duties and of her rights. 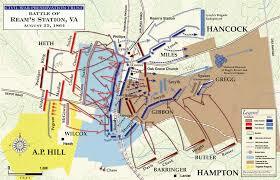 I speak of her duties first, and I will sum them all up by saying that for now, it is a matter of the duties of war. The enemy is staggering, but he is not beaten yet. He remains on our soil. It will not even be enough that we have, with the help of our dear and admirable Allies, chased him from our home for us to consider ourselves satisfied after what has happened. We want to enter his territory as is fitting, as victors. This is why the French vanguard has entered Paris with guns blazing. This is why the great French army from Italy has landed in the south and is advancing rapidly up the Rhône valley. This is why our brave and dear Forces of the interior will arm themselves with modern weapons. It is for this revenge, this vengeance and justice, that we will keep fighting until the final day, until the day of total and complete victory. This duty of war, all the men who are here and all those who hear us in France know that it demands national unity. We, who have lived the greatest hours of our History, we have nothing else to wish than to show ourselves, up to the end, worthy of France. Long live France! The massive casualties taken by the Army of the Potomac since the beginning of Grant’s drive on Richmond had destroyed the combat effectiveness of many units in the Army, with large numbers of veteran troops either killed or in hospital to recover from wounds and the ranks filled up with hastitly trained recruits. This decrease in combat capability was dramatically demonstrated at the Second Battle of Reams Station. 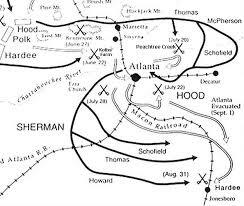 On August 24, Grant sent Hancock and his II corps south along the Weldon railroad to destroy as much of the rail line currently in Confederate hands as he could, to increase the difficulties of the Confederates in transporting supplies from the portion of the Weldon railroad they stilled controlled to Petersburg and Richmond. Sound empty as the belly of a burst drum. Today is the 203rd birthday of the Sixteenth President of the United States, Abraham Lincoln. The above video is an interesting and imaginative interview of Lincoln, if the film technology of the Thirties of the last century had been available in 1860. Air Force First Lieutenant Michael Blassie’s life came to an end at age twenty-four on May 11, 1972 when the A-37B Dragonfly that he was flying in support of South Vietnamese troops in An Loc was shot down. His body could not be recovered because the North Vietnamese had control of the area where his plane was shot down. The Saint Louis native, a 1970 graduate of the Air Force academy, had a short military career but an illustrious one: earning a Silver Star, Distinguished Flying Cross, and an Air Medal with four oak leaf clusters. Thanks to the air support he and his colleagues gave, the North Vietnamese did not take An Loc. During World War II, GI’s would watch a lot of training films, and most of them would often cure any insomnia that viewers might be suffering from. However, the Private Snafu shorts were different. Snafu, a term familiar to anyone who has even been in the Army, was the ultimate Army foul up who taught by negative example. The production values were quite good, with Mel Blanc, the voice of Bugs Bunny, lending his talents, and dialogue sometimes being written by Theodore Geisl, who went on to post war fame as Dr. Seuss. The above video is Booby Traps (1944). Both the Germans and the Japanese made extensive use of booby traps. Although the educational value of the film is nil as to actual booby traps, it did hammer home the basic message of being alert, which probably did serve to keep a few GI’s alive, who might have snored through a less entertaining presentation of that essential precaution.